"This illustrated biographical work highlights the life of Dr. Benjamin Rush, a great American hero and role model. At the time of his death in 1813, he was heralded as one of America's three most notable men, along with George Washington and Benjamin Franklin. He was a signer of the Declaration of Independence, served under three Presidents, helped found five universities and colleges, is titled "The Father of American Medicine," led both the abolition and prison reform movements, and founded American Sunday Schools and the nation's first Bible Society. Rush integrated his staunch Christian beliefs into every facet of his life. In addition to outlining his many remarkable accomplishments, this book includes numerous excerpts from his personal writings." From Amazon.com. Brodsky, Alyn. 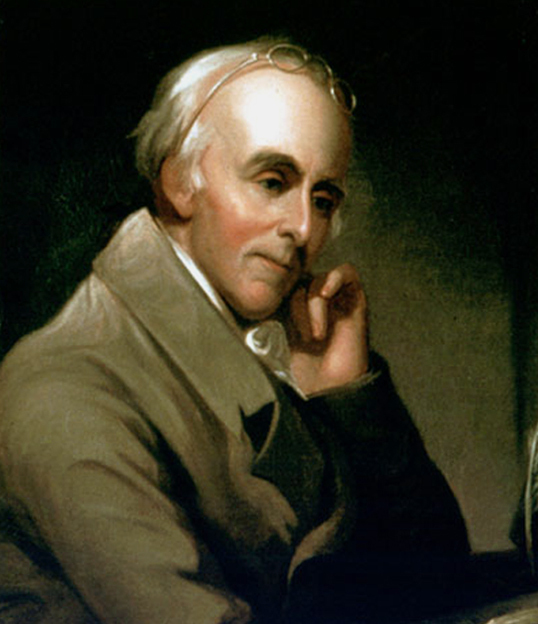 Benjamin Rush: Patriot and Physician. Truman Talley Books. 2004. Biddle, Louis Alexander. A Memorial Containing Travels Through Life or Sundry Incidents in the Life of Dr. Benjamin Rush. BiblioBazaar. 2008. "Most people know the importance of the Declaration of Independence, but few know much about its signers. This reprint of an 1848 original provides a brief biography on each of the fifty-six signers of the Declaration. Learn the virtues of these venerated Americans who helped create the most stable and enviable nation in the world." From Amazon.com. "We hold these truths to be self-evident, that all men are created equal, that they are endowed by their Creator with certain unalienable Rights, that among these are Life, Liberty, and the pursuit of Happiness." For more than 225 years these words have inspired men and women in countries the world over to risk everything in pursuit of these lofty ideals. When they first appeared in our nation's birth certificate, the Declaration of Independence, they were a call to action for a colony on the brink of rebellion. The 56 men who dared to sign their names to this revolutionary document knew they were putting their reputations, their fortunes, and their very lives on the line by boldly and publicly declaring their support for liberty and freedom. As Benjamin Franklin said as he signed his name, "We must all hang together, or most assuredly we shall all hang separately!" Who were these men who are the first heroes of our nation? Award-winning team of author Dennis Brindell Fradin and illustrator Michael McCurdy bring their considerable talents together to illuminate the lives of these valiant men, ranging from the poorest farmers to the wealthiest merchants, whose dauntless courage inspired thousands of colonists to risk all for freedom. From Amazon.com. "Benjamin Rush was a Founding Father of the United States. Rush lived in the state of Pennsylvania and was a physician, writer, educator, humanitarian and a devout Christian, as well as the founder of Dickinson College in Carlisle, Pennsylvania. Rush was a signatory of the Declaration of Independence and attended the Continental Congress. Later in life, he became a professor of medical theory and clinical practice at the University of Pennsylvania. Despite having a wide influence on the development of American government, he is not as widely known as many of his American contemporaries. Rush was also an early opponent of slavery and capital punishment. Despite his great contributions to early American society, Rush may be more famous today as the man who, in 1812, helped reconcile the friendship of Thomas Jefferson and John Adams by encouraging the two former Presidents to resume writing to each other. The editor of the preface of this book gives an in depth look into Benjamin Rush’s life. The writings of Rush, which are mentioned in this book, show a wide range of interest and knowledge embracing agriculture and the mechanical arts, chemistry and medicine, political science, and theology. Including letters he wrote in effort to dispel prejudice, to fight oppression, and to elevate the lot of the lowly. Dagobert D. Runes was a philosopher and author. He was the founding publisher of The Philosophical Library, where he worked to bring philosophical texts to a general audience. Runes was a colleague and friend of Albert Einstein and many other influential philosophers and scientists. Runes is responsible for publishing an English translation of Marx's On the Jewish Question, which he published under the title A World without Jews, and for editing The Dictionary of Philosophy, published in 1942." From Amazon.com.